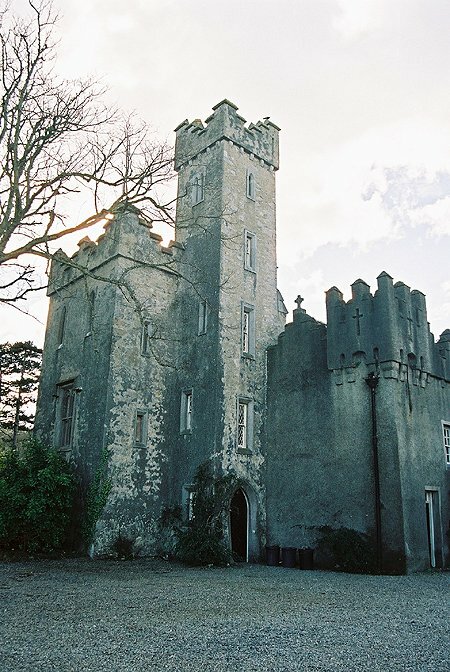 The current building is not the original Howth Castle, which was on the high slopes by the village and the sea. The English architect Sir Edwin Lutyens restyled a 14th century castle built here, overlooking Dublin Bay. Parts of the original bawn and towers survive though mainly encased in later additions – the large gateway tower is illustrated here. During 1910-11 he added or renovated the tower, loggia, corridors, library, and a chapel. He added a three-bay two-storey library block, built 1910 in tower house form, with basement and dormer attic. Square plan corner turrets to south-west and north-east facades. Incorporating fabric of earlier structures, 1738 and c.1840. 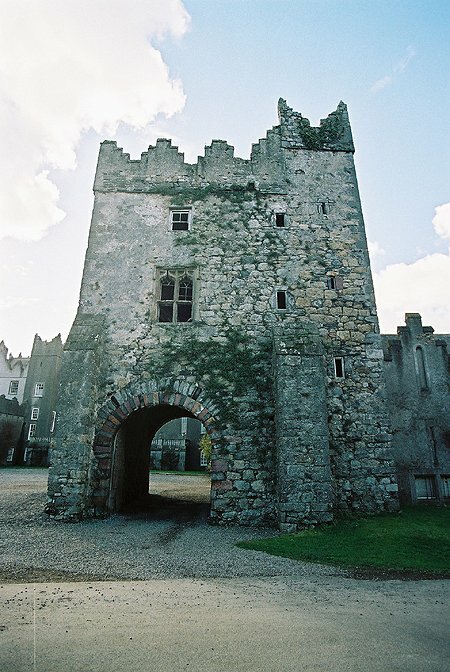 Over the previous hundred years or so, the list of architects who have worked on the castle or proposed alterations included: Richard Morrison (1810) for a Gothic gateway, for William St Lawrence, 2nd Earl of Howth; Francis Johnston proposed alterations in 1825, as did James Pain; Francis Bindon propoosed alterations in 1838. Richard Morrison partly executed his planned alterations of around 1840 including gothicization of the stables. 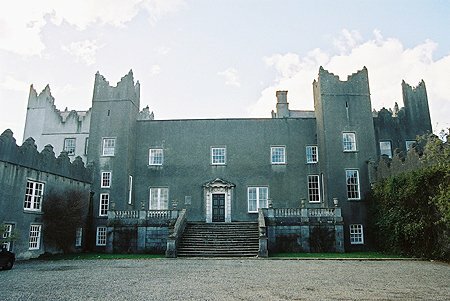 Howth Castle is the ancestral home of the line of the Earl of Howth (previously Barons of Howth, holding the area since the Norman invasion), now held by their heirs, the Gaisford St. Lawrence family.